Display your house or banner flag with our 36" total length solid hardwood banner pole which has a diameter of 1 inch and is made with 2-piece construction. 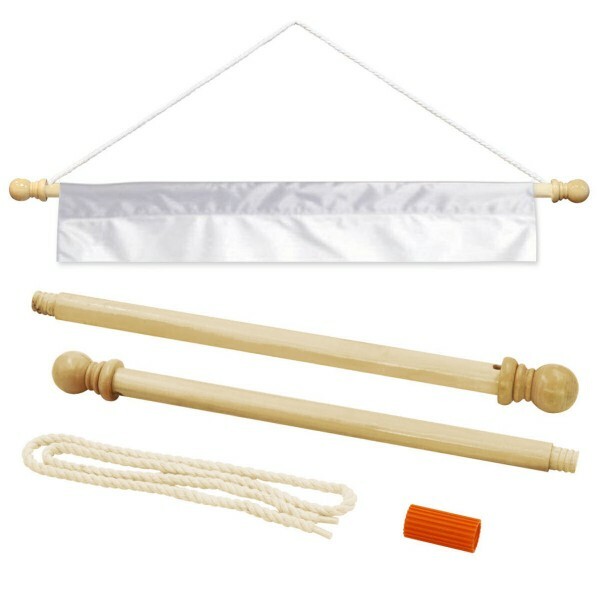 This Wood Banner Pole is perfect for hanging our "House Flags" or "Dynasty Banners" on any room wall, door, or rafters. Since this pole is made of solid hardwood, it can be used indoors or outdoors. In addition, an adjustable thick white colored hanging rope and solid wood finials on each end are included. The 2-piece construction can accommodate banner sleeves of 1" or greater. Not intended for use with 3'x5' Flags or House Flags or Banners greater than 30 inches in width.